Everyone’s favourite Friend’s star, Matthew Perry has put his epic Los Angeles home on the market for $17.8 million. 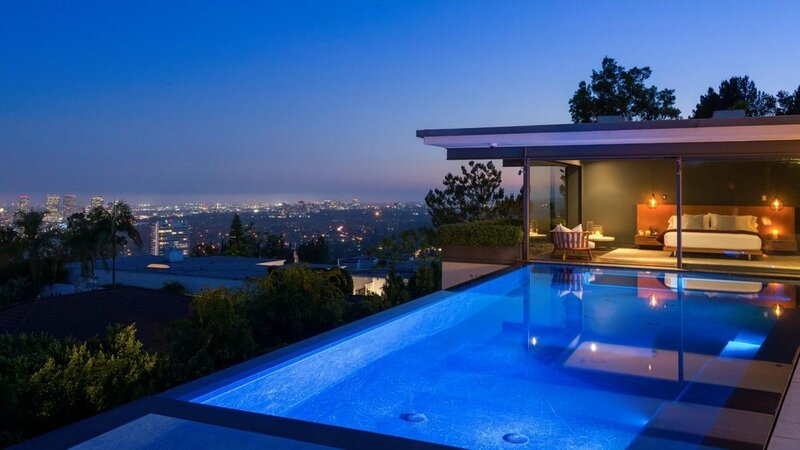 The slick modern home is located in the exclusive ‘Bird Streets’ neighbourhood above Sunset Strip in Hollywood Hills. A perfect home for entertaining, the enormous open plan living space features walls of glass opening to the outdoor entertainment area with fire pits. The three-bedroom home is decorated with pops of acid green, custom built in dark wood shelving and art work that pays homage to the golden era of Hollywood. The master suite has a generous en suite and a wall of glass that leads directly out to the swimming pool. 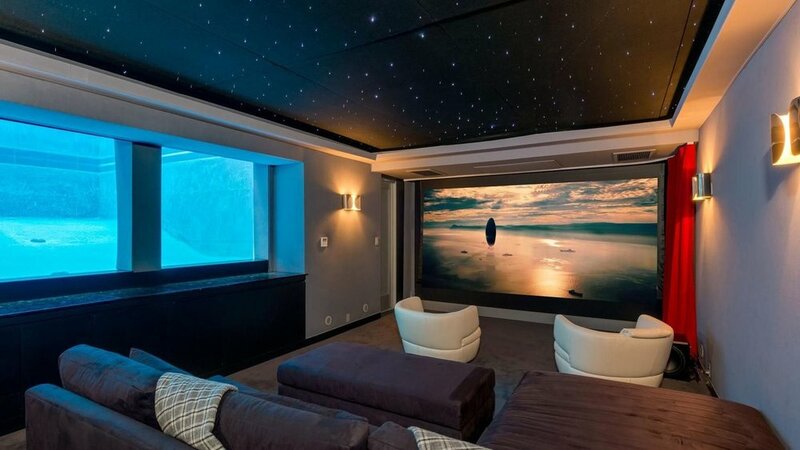 Underneath the house sits the home theatre with windows looking directly into the swimming pool. The infinity pool is lit with led lighting and cascades down overlooking the city, with views that expand from Hollywood Hills over Downtown LA to the Pacific Ocean.